Meet Our Friendly & Professional Staff! Auburn Eye Care has been proudly serving the community for over 25 years. We prioritize our customers and professional service. We get to know you and help take care of your visual system. 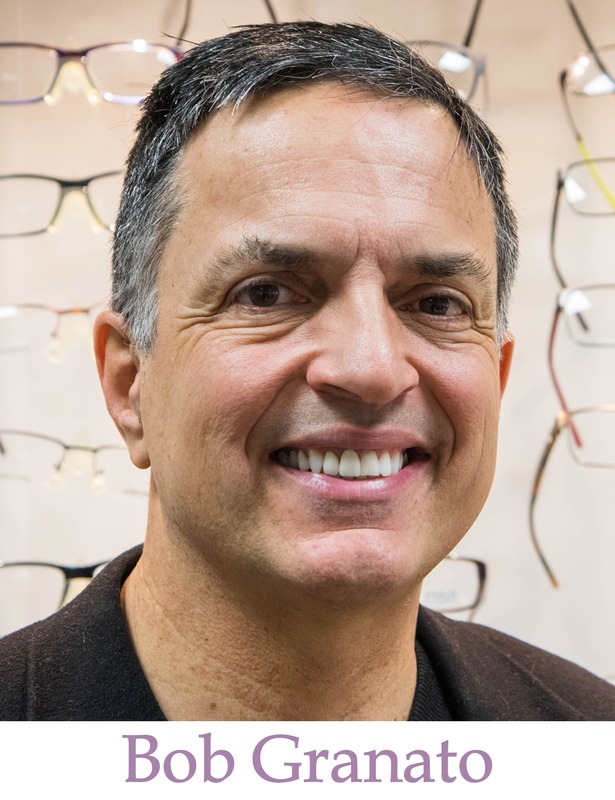 Dr. Martin Losito is an optometrist with over 20 years experience in Primary Care Optometry. Dr. Losito is certified in the treatment and management of ocular disease. He has extensive experience fitting and prescribing contact lenses. Dr. Losito received his Bachelor’s Degree from Potsdam College. He received his Doctorate of Optometry degree at the Pennsylvania College of Optometry in Philadelphia. He trained at the Eye Institute, one of the largest eye care clinics in the world. Dr. Losito is an active member of the American Optometric Association and the New York State Optometric Association. He is the co-owner of Auburn Eye Care since 1991. An Auburn native, Dr. Losito resides in Marcellus with his wife Suzanne and two daughters, Alaina and Nicole. Bob, Co-owner of Auburn Eye Care has been an optician for 33 years and self employed since 1986. Bob is a graduate of Erie Community college and a member of the New York State Society of Opticians and board member for Cayuga Centers in Auburn. Bob, a life long resident of Auburn, resides in auburn with his wife Cammi. Bob has three sons Sam, Nick, Frank and four step children Frederick, Amanda, Kyle and Kaleb. When not working Bob enjoys the lake, golf, is an active member of the community as an advocate for special needs children and foster care. Bob has been a long time coach of youth sports and supports local businesses and charities. Dr. Daum received her Bachelor's Degree from New York University and her Doctorate of Optometry from the Illinois College of Optometry. She also completed additional residency training in the area of ocular disease at the St. Albans and Brooklyn VA Medical Centers. 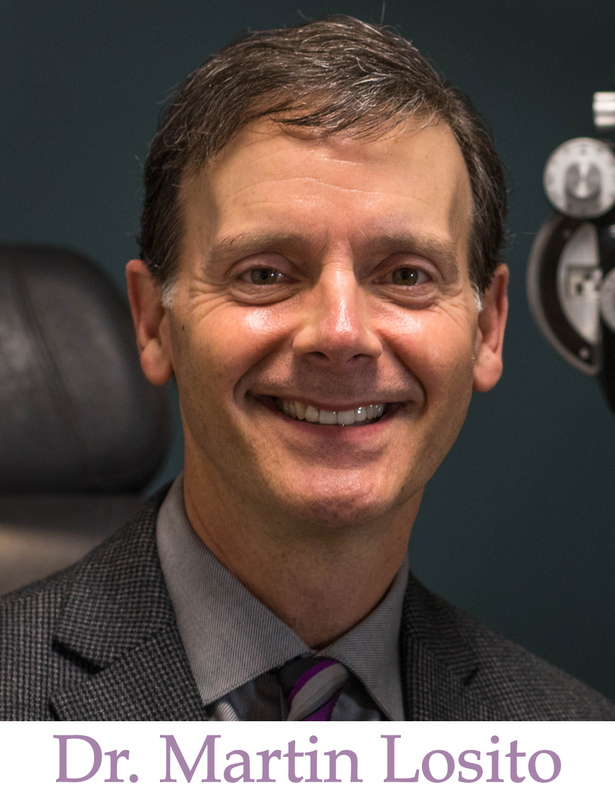 Dr. Daum is certified in the treatment and management of ocular disease, and has over 20 years of clinical experience in all areas of Primary Care Optometry. Dr. Daum resides in Fleming with her husband Dan and three children, Amanda, Chris, and Jennie. She is an active volunteer in the Union Springs Central School District and loves to spend time with her family. Cammi is the Business Manager for Auburn Eye Care and has a 20 year successful career as a Sales Director traveling domestically and Internationally buying, selling, and managing large corporations to make them more profitable. Cammi received her Business & Management degree in La Jolla, California. Cammi resides in Auburn with her husband Bob, has four adult children Fred, Amanda, Kyle, Kaleb, three step sons Sam, Nick, Frank and 6 grandchildren Brayden, Bailey, Grayson, Easton, Myla Lou, and Nora. Cammi loves spending time with her family, working out, nature walks, and traveling.